Not sure how good or bad these are. Looks like a good price and alternative to philips hue. It functions exactly as a Philips bulb inside the Hue app. Okay, we finally sorted this last night, so will post here in case it helps anyone at some point. These will work directly with the Echo Plus built in Zigbee Gateway but it's not obvious how to add them as a device and neither Osram nor Amazon proffer any tangible instruction. In fact Amazon had no clue when asked. 1. 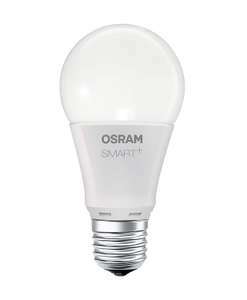 There is a very small window from switching on the bulb to add it as a device, after which it becomes just a dumb bulb and needs resetting if it's to be used as a smart bulb. So have your Alexa app ready to add a bulb &gt; other, or be ready to issue your Echo Plus a voice command to find devices. 2. Switch on the bulb and start the chosen add device command within ten seconds, preferably quicker. 3. A few seconds into the search for devices your bulb will flash a couple of times, that's it being found. If successful you will be presented with a bulb found notification at the end of the search. 4. If it fails or you have already had the bulb on for a time and it has become dumb, reset it by switching in on and off five times in succession. Don't do it too fast, a second or two between clicks will be fine. Then leave it off until you are ready to begin the search again, switch on and immediately start the adding new devices routine. You would need a hub to use it with a home mini. Was it set after installing the new bulbs though? The alignment seems fine but is an SUV so the lights are high and bright. How does one get this upgrade? Does your car have reflector or projector headlights? Might be an alignment issue if people are flashing at you? Wish I had never bought them. I get flashed all the time thinking I’m on full beam. Mine arrived and is multicoloured. Hue system does not seem to recognise it. Looks like Bluetooth only..
Any confirmation this will work SmartThings? What does it say pertinent to the one in this deal the smart+ outdoor one? I've been looking for these since about 2 months ago. Well, for the rechargeable ones to be honest, but they did not have any Osram at my local since a while ago. Didn't know these were out of stock? My local has never run out of them. The rechargeable strip lights however they've never got back in stock. Seems like a great price was looking for a charioteer version of the hire outdoor and these look great. The led part is definitely 4.88m long but power part is pretty short at around 2m so will need an extension for most applications, just opened mine up and is great for the cost! That’s probably for a different osram product. In the reviews section, select filter, select outdoor flex, and then you will see reviews if there are any for the outdoor version in this deal. If you don’t do this, the reviews section have review entries pertaining to every product listed in the product drop down options box from the main page. Plus ones that are no longer in that drop down box. I find myself having to do this quite often on amazon. The hk in the name means this is for Apple Home kit. The zigbee version is a different price. Does it not get dark the other 9 months of the year? do you have a link ?? I bought them for a shed but they weren't suitable for that, I now have them on the stairs that had hive bulbs already. I prefer these as I don't have to ask alexa to turn them on. Thanks again OP. 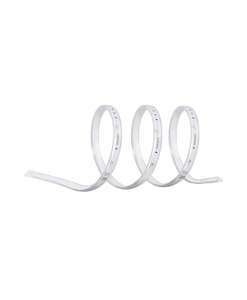 Great little lights, easy to attach to wall with 3M tape. Looks brill and saves me faffing with the main light which could interfere with my little lad as he sleeps with door slightly open. These are definitely also in Home Bargains too for a similar price. Seen these and similar alternatives in several of their South Wales stores. At least you can find your socks now. Light only lasts 12 seconds. Planned to use in a bathroom for during the night but it turns off too soon. Out of the package it looks like cheap metal imitation (well it is grey plastic) so I put it in a drawer as pointless. Was planning to buy several but will pass. any good for a shed ?? Despite my bulk purchase they still had a dozen or so left of each variety at HB in Ellesmere Port. Good price, these have been on sale for quite a while, probably not many left. Certainly none left at my local. I've got the rechargeable ones, better value for indoor in my opinion. Oh, they have loads of different types of lights. Great review for this brand. Thank you! I think the brand was Novsight. About £25 on Amazon. I've just fitted some LED's to my car....the difference is incredible. No doubt it'll fail the mot with them in though despite the beam pattern being okay! Yep you won, mine is ‘on hold’! Had to connect mine with a third party app but once connected, works brilliant. They have frequent sub £10 warehouse deals on these. Not directly - It requires a zigbee Hub . Either the one contained within the Echo Plus , a Hue bridge or any other ZigBee hub . For some reason I have issues selecting Yellow on my Osram bulbs using Philips Hue. Other than that they work fine with Hue. Brighter H7 lights, but just remember, these won't last as long as your factory installed headlights. The price is gone up. Its one of the first things my instructor told me. Adjust it lower than a parked car in fronts license plate. It needs to be made part of the test. Dont get me started on that nowadays. Very true. I was with a mate who has over 20 years driving experience, I was a passenger, he was the driver. We were driving is single carriageways 40-60mph roads at night and a few people were flashing their lights at our car. He was cursing at them for doing so and don't know why they did it as he set the dial on 0. I told him he needs to lower it to 1 or 1.5, he said it's lowest at 0! Told him 0 is the highest in his car and for most cars. A lot of people have no idea how to adjust, those that do know, it's very easy to find a suitable aim according to road conditions. Have you updated them in anyway? I do feel a bit more lag compared to Hue. But it always turns on. Do anybody else's bulbs not turn back on using the switch? After doing my research I prefer the Xiaomi YeeLight. Possibly the most stupidest theory iv heard to date. If u can't fit something u shouldn't buy it? U don't have many light bulb moments do u? I think I read somewhere that these very bright bulbs have a life expectancy of only a few hundred hours of being on so not much use if your headlights are on during the day and night and you drive a lot. Best for people who do not drive many hours at night but want to be able to see better - in my case this is for a motorcycle that gets used not that many hours at night. I bought a Hue Bridge from CEX for £25. I don't know ( it should but....), probably you have to do research. What's your knowledge about IT? Do you have plan to do "smart home"? Do you want to use different ZigBee devices? Ok so the mini switches won't show in the Hue App, they do detect my existing Osram lamps and they do turn them on and off. I don't think they are suitable for me as they could clash with other rooms. More homework required. 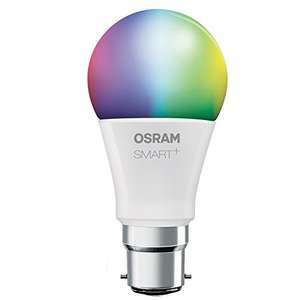 I don't have any Hue bulbs myself just Hive and Osram. I want to see if the switches can control the Osram bulbs at least, Hive don't sell switches so unsure how that will work. Does the dimmer switch work with other Hue lights? My aim is to use the switch like a Hue dimmer only cheaper and get the switch to be recognised on the app then program it. From reading I believe the bulb an switch can work on their own with no controller but that's not my intention. Does anyone know how easy it is to pair the switch to Tradfri/Hue bulbs? 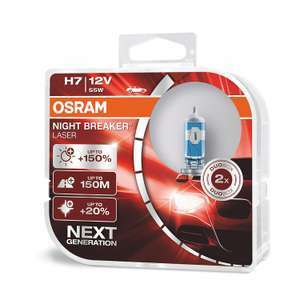 Or do you need the osram bridge? No, just simple halogen lamp replacement leds (single colour). For some reason, this type has always been expensive to replace with LED types. You can pay £20 or more for them. I've never seen smart types. Maybe they exist? Good deal, £10 in Screwfix for lesser brand Dial. Could I control these from a google home device? Would I need to buy anything else? Can these be added to a Hue bridge, for control with Alexa? I'm pretty sure I saw something just like this in Home Bargains today for around £1.15 each. is the £10.99 for just one lamp? Would be tempted if I had a hub to connect it with. Annoying I've got E14's as my ceiling lights and a dim-able light would be great. Even with the reviews probably worth a shot for just over tenner. Help 2 Buy Window Scheme.. Is this genuine or fraud?